ShanghART is thrilled to celebrate its 20th anniversary and the inauguration of its new gallery building located in West Bund with a major group exhibition titled Holzwege. Opening in November, the exhibition serves as a retrospection of the gallery’s role and contribution to the development of Chinese contemporary art, and at the same time looks ahead to the future of exciting collaborations with emerging Chinese artists and international artists. Holzwege opens on 9 November, coinciding with the opening of the 11th Shanghai Biennale and ShanghART’s participation in two leading international art fairs in Shanghai. Inspired by German philosopher Martin Heidegger’s ‘Holzwege’ – a term which describes an overgrown, rarely trodden forest path only recognisable to forest keepers and woodcutters, the exhibition examines how ShanghART and its artists have been exploring and setting the paths of contemporary art in China for the past twenty years, with the perseverance of Heidegger’s woodcutters and forest keepers. In the exhibition, ShanghART showcases works by renowned Chinese artists such as Zeng Fanzhi, Ding Yi, Zhang Enli, Yang Fudong and Xu Zhen alongside works by emerging artists from China, such as Sun Xun, Zhao Yang and Ouyang Chun, as well as overseas artists, such as Jörg Immendorff and Apichatpong Weerasethakul, initiating rich and diverse new dialogues between local and international art communities. Each work stands on its own, and yet the theme of the exhibition resonates through all of them, as each artist expresses his/her own way of finding the ‘Holzweg’. 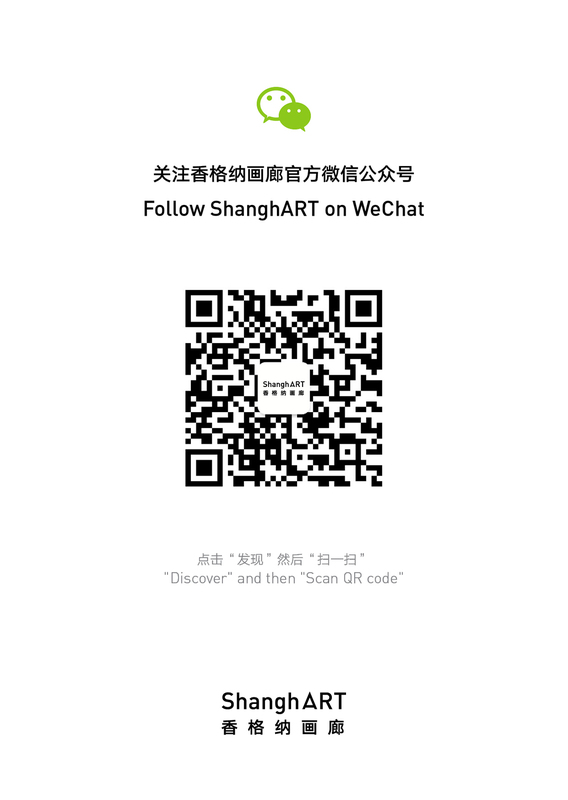 Marked by its sustained growth and inclusive approach, ShanghART is recognised as a pioneer of and a witness to the contemporary art’s development in China, and has not ceased to innovate and carve out its own path since its establishment in 1996. Holzwege looks back on the ShanghART’s development in the past two decades, and signifies a new start for the gallery. Occupying both floors of the gallery’s new West Bund building, Holzwege is a substantially sized exhibition showcasing works ranging from large-scale sculptures, installations, video installations and performances. Chen Xiaoyun, Ding Yi, Guo Xi & Zhang Jianling, Geng Jianyi, Han Feng, Huang Kui, Jörg Immendorff, Lin Ke, Li Ming, Liang Shaoji, Li Shan, Liang Yue, Liu Yue, Liu Chengrui, Markus Lüpertz, Ouyang Chun, Shao Yi, Sun Xun, Wang Youshen, Apichatpong Weerasethakul, Xu Zhen - Produced by MadeIn Company, Yu Youhan, Yang Fudong, Yang Zhenzhong, Zeng Fanzhi, Zhao Yang, Zhang Qing, Robert Zhao Renhui, Zhang Enli. If You Have a Parrot, What Words Would You Teach Him (Her)?